Catch Me is favoured to continue her winning ways in the Blue Diamond Prelude at Caulfield. 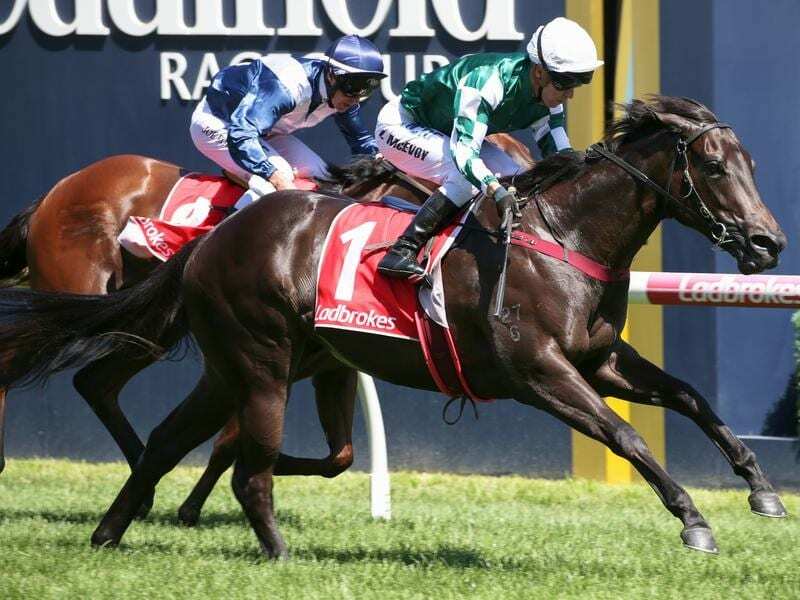 Catch Me and I Am Immortal are the early favourites to continue their winning ways in the respective divisions of the Blue Diamond Preludes which are set to provide the best pointers yet towards Victoria’s premier juvenile race. Saturday’s Blue Diamond Prelude for fillies has attracted 21 nominations highlighted by three of the top four horses in the current market for the Group One Blue Diamond Stakes two weeks later. “I was very happy with his performance in the Preview,” Stokes said. “His last 600 metres said that. “He pulled up well and Criag Williams takes the ride on Saturday. “Craig came out and rode him on Friday and was impressed with the horse. “Definitely 1100 metres and 1200 will be better for him than the 1000 metres.